We, here at Michiana Professional Residential Painting, do know and understand just how very important your surroundings are to you. This is why we go out of our way to make sure customers always come first. Because they aren't only our lifeblood, they are everything, and are what give us the opportunity to use our knowledge and skills every day in the painting industry. We are a full service residential painting company that cares and caters to every customer who comes our way. We value them, appreciate them, and want them to be happy with any and all painting work that we do for them. 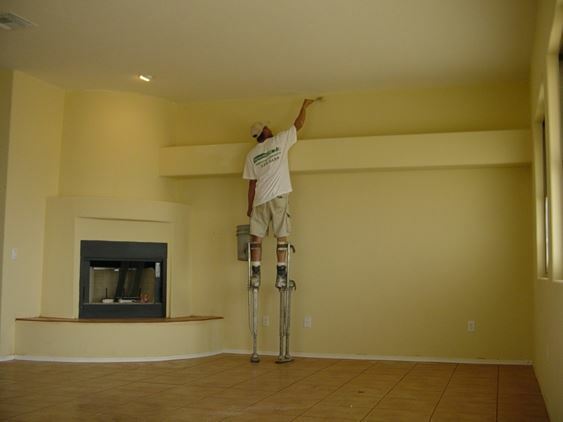 There is no residential painting jobs that are too big or too small for us. We do them all. We are residential painting contractors that get personal with our customer's wants and needs from a residential painting aspect. Our one goal, which we make sure to always meet is this, and that is to make sure you have a positive experience that is exceptional with us each time. Our residential painting prices are also special and are very affordable in delivery. We are top residential painting contractors that do top painting work. The work we do is for you, our customers, and no one else. Michiana Painters strive to be the very finest of all residential painters for our customers. This is because when we do a job, we do it right, and we do it with lots of certainty that the customer will love it. This certainty not only makes for awesome inspiration, but it delivers every time, and that is because it makes us excel at what we do the very best from the rest. We are a residential painting company that does believe in our efforts and this is because we believe in customer satisfaction and happiness. There is nothing more important than that to us. If we are able to make the customer love us, and love what we do, then we have achieved what we set out to do. Excellent customer service is something we not only work by, but live by, as well. It is about who we are, both as professional painters, as well as people. The best possible painting experience is something that is about all of us, and not just us, as high quality painters. We communicate ourselves to every customer and make sure that they communicate to us firsthand. This is the only we can learn what they need from us the most. It is what makes the whole painting experience fall into place in the way it must do from the get go to be right and work right. Michiana Paint goes all out for their customers and this is because customers would do the same for us. They give us the opportunity to keep on developing our experience every day. Practice makes perfect in the field of residential painting. This is because we can only go on to get better and better with time. Professionalism in any field is not something that happens right away. It happens with repeated effort, performance, and lots of total dedication to one's job. Our one specialization is residential painting. Delivering nothing but high quality painting for a wide assortment of painting projects that customers need is what we strive for indeed!